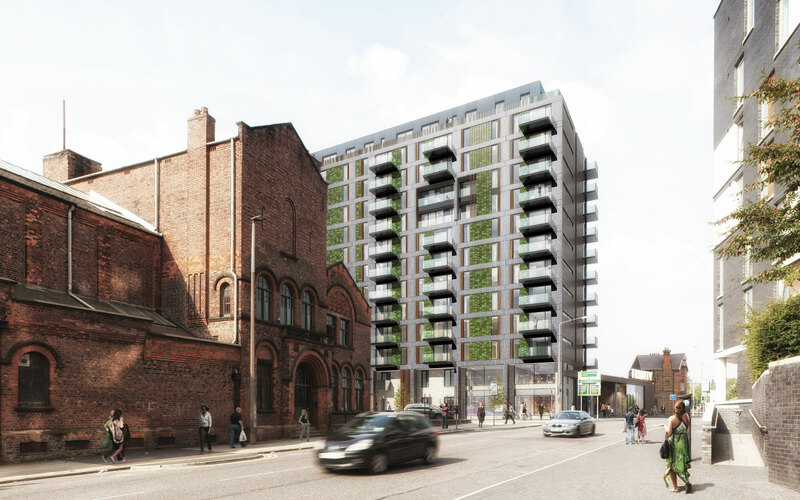 We have been commissioned by the University of Salford and the City to develop a masterplan for the regeneration of 99ha of central Salford real estate. The scope of the commission which includes the University’s estate; Peel Park and the Meadows; several city cultural assets and local residential neighbourhoods aims to build upon existing assets to create a distinctive place to live, work, learn and visit. The ambition is to create a high quality knowledge district driven by enterprise, innovation, research and creativity with the intention of improving graduate retention and encouraging inward investment. Good urban design and place making is referenced to create a place that is diverse, well connected and ‘green’ that also provides residential, employment and arts and cultural opportunities for this hugely significant part of Salford. We are continuing to work with our project partners to help realise our clients’ joint vision for the site.